Since we still have a little time before we can officially get hold of the 2016 model of Apple’s flagship MacBook Pro, the 13 inch model, we’re taking another look at this excellent piece of kit to help you establish whether it could be right for you. Whether you’re seasoned Mac user, a part-time Apple fan or just someone who’s sick of having to deal with Windows 10, maybe the MacBook Pro 2015 is the perfect choice for you. The outer design hasn’t changed significantly for some time, and you will still find the familiar metallic silver finishing with sleek black detailing on the screen and keyboard. The MacBook Pro currently includes two USB 3.0 ports, as well as HDMI 1.4 output, an SDXC card slot, two Thunderbolt 2 ports and more. The laptop feels light and compact as always with Apple, so you’re likely to feel quite comfortable working away on this model or carrying it around with you. We haven’t spent a whole lot of time using Chromebooks, but they’re definitely a viable alternative to picking a side in the never-ending Windows vs. Mac debate. For the majority of people a capable Chromebook is more than enough to accomplish all the things they need to get done on a laptop, without the complicated maintenance tasks you sometimes find building up on a full PC. The Toshiba Chromebook 2 is an excellent example of why many people could benefit from a simpler machine running Chrome OS. Last year’s revamp of the Razer Blade could still be a viable option if you’re looking for a lightweight gaming laptop. It find a great balance between different variables to come out a price point that isn’t astronomical (although perhaps not the best), but it certainly represents a notable improvement in terms of performance compared with earlier editions. Dell is one of the world’s leading manufacturers of personal computers and laptops. The American technology giant made their first ever computer back in 1985 and have grown in strength ever since. They have produced several ranges of laptop including the Latitude, Vostro, Inspiron and XPS. All are unique and offer different specs for different consumer needs. Below we will share our reviews of the four most recent and popular laptops that have been made by them. This should give you some insight into Dell laptops and which one might be best for you. You can also view other Dell Laptops here. The Latitude E7450 is sturdy and incredibly lightweight, it only weighs 3.6 pounds. The keyboard is also very responsive and the keys are of a good size. Sound quality is very clear and it has an impressive battery life for a laptop. 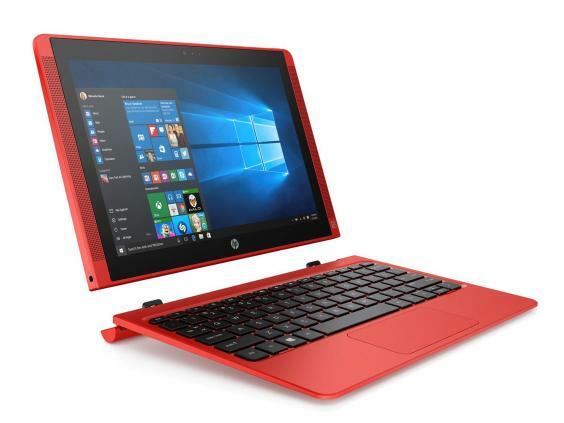 It has a 14 inch screen and is optimized for Windows 10 with an impressive 265 GB storage. It is available in a matte steel color with black keyboard. The Lenovo G50-45 Laptop is one of the best budget laptops currently in the market. As we all understand, buying a budget laptop involves trade-offs, the Lenovo G5, it is no exception. For around £299, you get a solid quad-core laptop with an excellent display. Though the keyboard and the design are not excellent, the real trade-off lies on the laptops short battery life. The G50 is not uncomfortable to use or unappealing; it comes in a black plastic case with a glossy bezel look. On the left edge, it has a VGA port, Ethernet port, HDMI port, USB 2.0 port and a USB 3.0 port. On the right side, you will find headphone and a mic jack, a card reader and another USB 2.0 port. The laptop measures 15.12 x 10.43 x .98 inches and weighs around 4.6 pounds. In fact, it is one of the lightest budget laptops in the market. The screen of the G50-45 packs a 15.6 inch HD display. Being the brightest in its price range with 238 nits of brightness.The 15.6-inch display outputs very clear images compared to other laptops on within the same category.When it comes to audio output, this laptop stands out. You will be able to get a lot of sound by raising the audio bar to 100%. You are a discerning gamer and lately you have been going through some of the best gaming laptop reviews. Sadly, for a sector that has probably seen them all, you have not been able to make a choice. You are now confused and likely spoil for choice. Well, to get you started, here is the best gaming laptop reviews; mentioned are high end gaming laptops ad probably the best the industry has seen so far. You could actually make use of one of the today. Sitting pretty at the top position has to be this gaming masterpiece. If you are serious gamer who needs a hardware and high-end performance, then G50-80, Lenovo is what you should be going for next. I mean, with 6 GB of RAM coupled with , i5Intel Core processor, what else could any gamer possibly ask for? The best part; it is not only capable of handling high tasking games, its display is another thing; The 15” TFT screen coming with a whopping 1366 x 768 pixels, enough brightness and great colors is going to be the order of the day. Here’s a quick look at Lenovo G50. Brand New vs Second Hand Laptops – Which Is Top Quality When Buying A Laptop? A brand new laptop guarantees you that the parts are new and have not gone through any misuse or wear. Upon purchase, the laptop has a seal of warranty alongside a warranty card saying that every one of its parts are brand new and also in great working condition. A second hand laptop, on the other hand, does not have this surety. Business laptops are currently high in demand. The new competition in the market is the new ASUS pro laptop which is specifically designed for business users. The Asus pro is versatile in design and performance which is perfect for everyday use. To stay ahead of the competition, Asus has added in some extra features that will wow the buyers. The new laptop comes with new specs including the latest 8th Gen Intel Quad-Core i5 and a 3.4 GHz along with an 8 GB RAM. It has a storage space of up to 256 GB which is plenty for saving data, files, movies or apps. Professionals like to have a sleek yet portable design. The Asus pro is lightweight and portable, finished with a traditional ASUS design. It has a glare-free screen and comes with a scratch resistant display. Unlike other compact laptops, Asus added a full keyboard size that isn’t too cramped and comfortable for typing. The display is 15.6 n size and comes with a full HD resolution. The laptop is relatively compact with a slim design. However, it comes with the essential ports including a USB, HDMI, VGA with wireless connection for Wi-Fi routers and Bluetooth. Asus pro specifically built in a business manager that helps business owners accomplish their everyday tasks easily and smoothly. It also comes with an impressive battery life that lasts up to a maximum of 9 hours. If you need to back up the battery, the back end can be easily swapped with a new battery. Asus knows the importance of security for business owners, that’s why they’ve added a new security feature by integrating a fingerprint sensor and an enabled security chip. Overall, ASUS has nailed the features for business owners who are looking to purchase a brand new laptop this year. HP has recently introduced a new gaming laptop on the market. Usually, desktops are crafted for gaming. However, HP has managed to create a gaming laptop that’s powerful, lightweight and portable all in one. Gamers will be pleased to see a new gaming laptop on the market. The new gaming laptop is packed with high performance including an Intel Core i7 processor along with 12GB and dedicated memory for the graphics processor. The battery can last up to a maximum of 10 hours. However, HP has added a bonus by including a backup battery for up to 6 hours. It’s perfect for gamers who are streaming games or live videos. A gaming laptop isn’t complete without a high-quality display. To ensure the laptop was up to a high standard for gamers, HP made sure the laptop is equipped with everything and more. They’ve added an NVIDIA GeForce GTX 1050 Ti graphics processor which delivers high graphics performance. It also comes with a full HD display. The screen resolution is 1920 x 1080. HP Omen has a futuristic design with a backlit keyboard. It’s lightweight and portable which comes in handy for gamers. The overall shape of the laptop is inspired by gaming and futuristic design. There’s a built-in fan just by the ports to reduce heat and maintain the performance while gaming. Currently, the model is currently available in the black and red theme. The amazing design will attract all kinds of gamers. Furthermore, HP has up their game by adding in a fantastic sound system by Bang and Olufsen. The sound system is clear and crisp which improves the gaming experience. When it comes to connectivity, HP Omen supports various connections including USB, Bluetooth, HDMI, microphone, media reader, headphone jack, memory slots and a display port. The Macbook Air weighs as much as a netbook coming in at 1.4 kg but unlike a netbook, it has a much bigger screen, around 13.3 inches. Apple products are noted for their high-quality items as well as a hefty price tag. The hard drive is a generous 256 GB and operates on a Mac OS X. The newest version of the MacBook Air was made available in June 2012. Available since May 2012, the Asus Zenbook is on the expensive side. It only weighs 1.3kg due to its ultra thin frame and the screen is 13.3 inches. It runs on an i7 core processor and operates using Windows 7 Home Edition Premium. Users enjoy fast processing speeds and excellent picture quality. The HP Envy Spectre is only 1.3 kg despite its large, 14-inch screen. The price may not suit those on a budget but its fast processing speeds and long battery life are a hit with many users. It has a built-in webcam that displays quality images as well as built-in Bluetooth. The Toshiba Satellite is more budget friendly than most new computers. Released in June 2012, the Satellite weighs in at 1.58 kg weight and has a 14-inch screen. The Satellite also comes equipped with three USB ports, SRS Premium Sound 3D and Bluetooth. It boasts 9 hours of battery left when unplugged and runs on Windows 7 Edition Home Premium. The Sony Vaio Notebook is on the cheaper side of laptops. With a weight of 2.3 kg and a screen size of 13.9 inches, the Vaio was made for travel. The Vaio Notebook was made available at the end of July 2012. It has a whopping 500 GB hard drive and runs on Windows 7 Premium. The average battery life for the Vaio is 7 hours and Adobe Photoshop Elements comes pre-installed on the computer. The best lightweight laptops are usually in the form of netbooks. However, there are some regular sized laptops that are lightweight but these will be more expensive than a netbook. Nobody wants to carry around a heavy laptop to work or school. Lightweight laptops make travelling and commuting easier. Netbooks are considered to be the lightweights of the computing world but they can have just as much power as a regular sized laptop. In today’s economy, a budget is everything. Buying a laptop can certainly stretch that budget but with a lightweight laptop that is not a problem. There are many cheap laptops for sale out there if you find a quality supplier. Sometimes a refurbished or used system is a better option if you do not want to spend too much cash. Listed below are some lightweight laptops that will fit anyone’s budget. The Acer Aspire costs one-third of the price of a normal laptop. Weighing in at 1.2 kg the Acer Aspire can do just about anything a regular laptop can do. It has a 15.6-inch screen with 640 GB of memory. The battery can only last about 3 hours without the power cord. The Aspire also has a built-in webcam and runs on Windows 7 Premium. Like its full-sized counterpart, the HP Mini is an excellent computer. This budget friendly computer has a 10.1-inch screen and weighs 1.4 kg. It only has 320 GB of storage space but can last up to 9 hours without the help of its power cord. Even though the HP Mini is small, the keyboard feels just like a regular sized one. The HP Mini comes in several different colours including turquoise and pink. The Samsung Netbook will not break the bank and comes equipped with a 10.1-inch screen, 1.6 GHz processing speed and a 1.3 kg weight. Users enjoy the top quality graphics display as well as fast speeds. The display is LED which is energy efficient and allows the Samsung Netbook to last up to nearly 11 hours. The Samsung Netbook is designed to withstand drops and falls and is very sturdy. The Toshiba Netbook will appeal to anyone on a budget due to its reasonable price. Its 1.1 kg weight and 10.1-inch screen size make the Toshiba Notebook an excellent lightweight laptop. The Toshiba Netbook has a reasonable amount of space coming in at 250 GB. It also comes equipped with an Ethernet port and Wi-Fi capabilities so users can stay connected wherever they are. When you ask yourself, which are the best notebooks on the market today, you have to consider many things to come to a conclusion. You can always argue that the most expensive notebook would be the best. However, this is not the case. You have to figure out the purpose for your investment. A few reasons why you would need a notebook can be for gaming, business, web browsing or writing. Apple and HP notebook computers are the first alternatives that we can go over. These rank among some of the best computers on the market today. One of the reasons that you can place these laptops in this group is because of their versatility and dependability. Whether you are looking for a computer that does gaming or business work beautifully, Apple and HP will have more than enough memory ram, processing speeds and a reliable operating system. Some Apple computers will even have the options of switching from a Windows operating system to their own. When you are shopping for your computers, you always want to look at the processing speed, type of processor, operating system, memory ram and hard drive capacity. By doing this, you will be able to balance out what you really need to get the job done, which can save you money by not getting something you don’t need. We can go over a couple of other notebooks that are bestsellers on the market today. Toshiba and Samsung also belong atop some of the best notebooks, which you will find at your local electronics store. You can also browse the Internet to find your selections of Toshiba and Samsung notebooks. One of the advantages that come with the Toshiba notebooks is that their battery life is great, which is also a vital feature on any portable computer. The Samsung computers will have an excellent screen resolution and a long-lasting performance that can have you working at your computer for many hours. The differences between a notebook and a laptop are subtle but still there. You can decide on which one to invest in by doing your cons and pros list. This can save you time and money when you go shopping for one or the other. We can start looking at an overview of both to get a better sense of the many different characteristics, which makes laptops and notebooks unique. One of the main distinctions that notebooks will have is their lightweight features. Although the laptop is also portable, notebooks will beat a laptop when it comes to portability. Notebooks are great for those on-the-go business employees. They offer a long-lasting battery life, along with entertainment features as well. It is usually thin and small, which is excellent for carrying it anywhere you go. A few of the reasons why these notebooks are so lightweight is because they will not come equipped with an internal floppy disk drive, CD-ROM or a DVD-Rom drive. Its screen will also be limited to a small size, which can range from 12 inches to 14 inches long. The laptop, on the other hand, does have extra features that will add to its weight. You will be able to rest your laptop right on your lap when you are doing work, playing a game or just browsing the Internet. Although notebooks have the capability of going on the Internet, just like the laptop, you might have better alternatives with a laptop. Unlike notebooks, a laptop will come integrated with a CD-Rom and DVD-Rom drive. However, nowadays, you will quickly find that a laptop will not have the option of an integrated floppy disk drive. In the end, the choice is yours, but both are good investments. You can decide by doing research online, so you can do a comparison of notebooks and a laptop. Moreover, although both do have many differences, there are also many similarities, such as their portability and user-friendly interface. You can also expect to have great keyboard features on notebooks and on any laptop, you might choose. Just make sure to consider every aspect of each one before you make your final decision. Whether you are in need of a new laptop for work or school purposes, you might find yourself limited to a certain budget. Particularly those who are students, you know that it’s important to keep your cost as low as possible. You might fear that buying a cheap laptop may not have the best specification of them all. Fear not, as there are in fact many laptops out there that are good value for a low price. Better yet, you can always consider laptops that are on sale as you will find that most of them are usually sold at a higher price and most likely to have more specs as well. To help you find the perfect and a low-cost laptop, we’ve gathered the following articles that may be helpful during your search. Let’s take a look at them below. So you want computing power and great value? First, decide on what you’re after. Screen size is key, and most laptops at low prices tend towards smaller displays (11-inch is common). Next, pick a processor, aiming for AMD A-Series or Intel Core i if you can. At this price range, storage is usually limited (32GB is common) which is no more than many smartphones. However, you can often expand on this fixed storage using a memory card, if an SD card slot or microSD card slot is included. As a guide, a 64GB storage card costs around £15. This is a great price for a 14-inch screened Windows laptop. Its 32GB storage can be boosted using an SD memory card, which almost tucks right into the laptop so you can leave it there pretty much permanently. The battery lasts a good eight hours and performance is decent. At 1.44kg it’s not as light as some here, but still manageable. And with that bright blue hue all over (only the keys are white), it’s great to look at, too. “Cheap” is no longer a dirty word when it comes to laptops. These days, manufacturers are inventing new ways to outsell each other, including aggressive price cutting. Now we’re seeing full-size and ultraportable Windows 10 notebooks with processors powerful enough for use at home, school, or work, as well as full-featured chromebooks and hybrid systems that give you both laptop and tablet functionality in one device.